I wanted to try something simple to go with my meal for lunch. I had some cabbage left over. 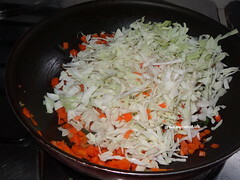 I remember that in my college days hostel menu they serve cabbage and carrot stir fry. I love the combo. 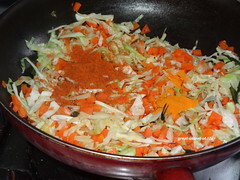 I decided to try out simple but bit spicy Cabbage and carrot stir fry. 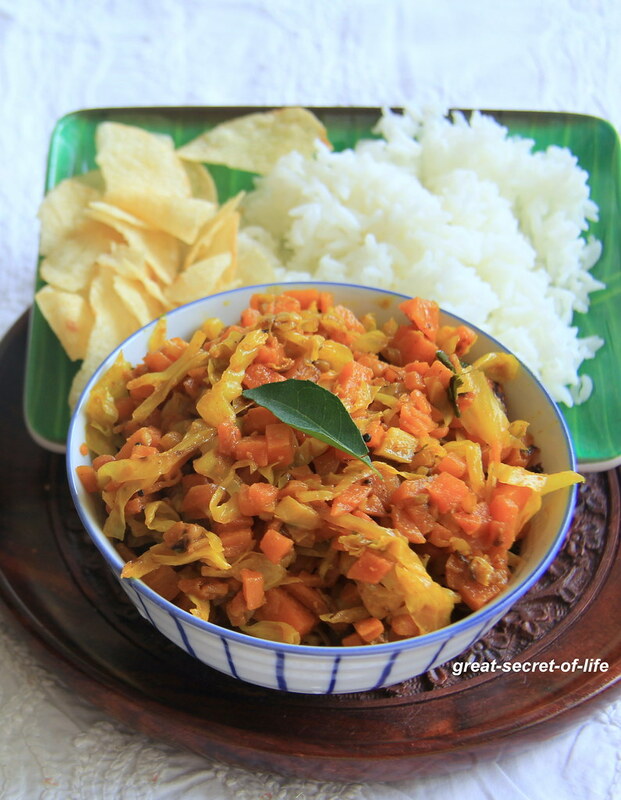 This can go well with any variety rice like Lemon, tomato, curd or any podi rice. 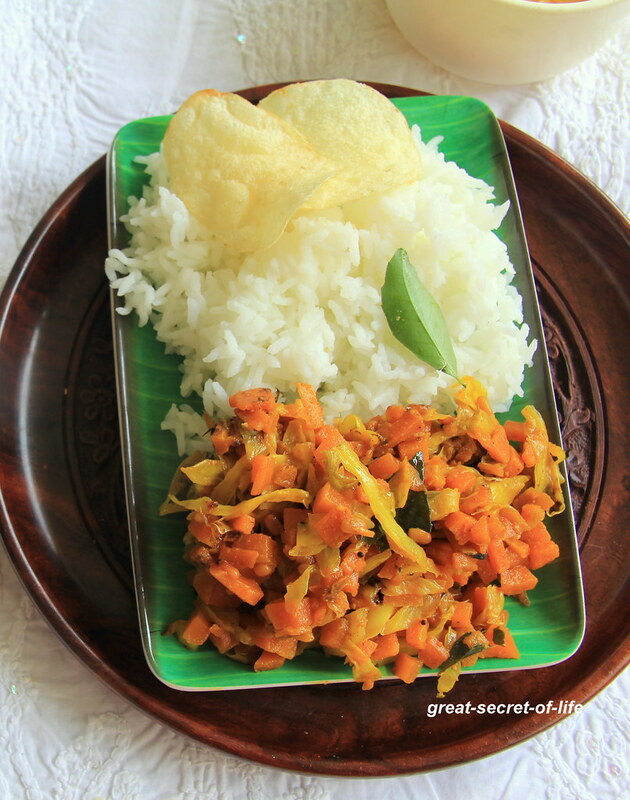 It can go well with sambar rice too. Yes stir fry is so simple to make a comfort and healthy meal ..Loved the stir fry with chips ..
Inviting platter makes me hungry .. Yummy! simple and inviting stir fry!! simple and healthy stir fry. 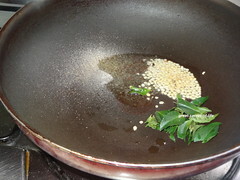 Such flavourful and healthy dish it is. 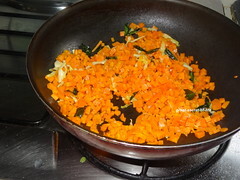 I just made it yesterday, though I dont shred the carrots but just use the chunks. And some green peas as well. 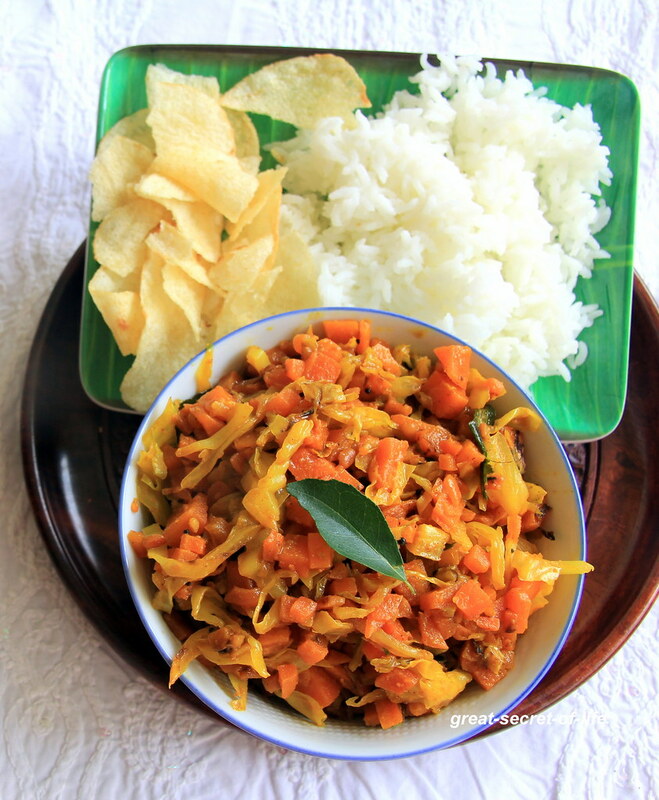 And of course, dont add dhal..